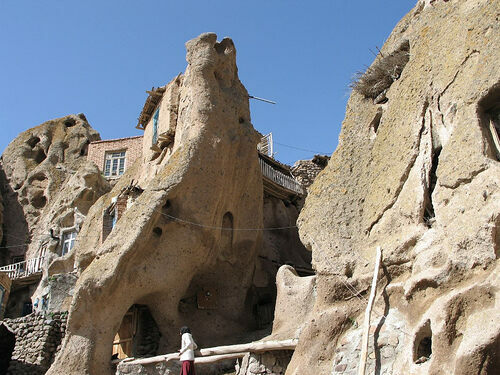 Tucked away in the remote northwest corner of Iran is a village where residents live as modern-day cave dwellers. 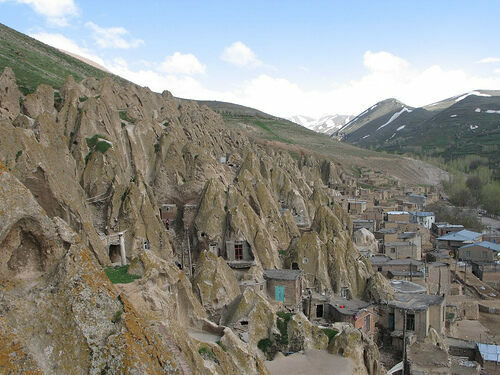 Current residents of Kandovan, a tourist village in the province of East Azerbaijan, claim that their village is more than 700 years old. It was created, they say, when those fleeing the advancing Mongol army took to the caves to hide. 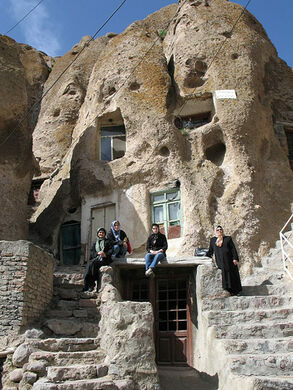 The homes are known as “karan” in the local Turkic dialect, a word that roughly translates as the plural of beehive. 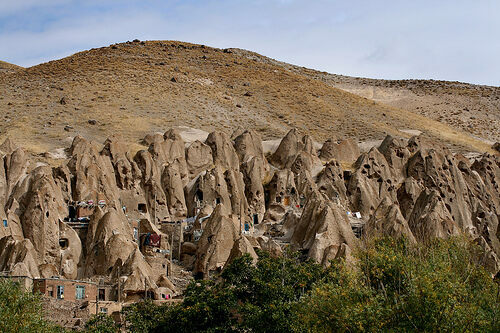 The Kandovan village has an unusual look that resembles a gigantic termite colony more than it does traditional caves. The structures were formed by ash and debris from Mount Sahand when the now-dormant volcano erupted sometime in the last 11,000 years. Over the course of thousands of years, the ash hardened and was carved out by the elements. In the surrounding region, the ash blanketed the land in a more traditional pattern. Over the years, the people of the village have expanded their residences. Now, most cave dwellings range from two to four stories complete with living areas, a storage room and an animal shelter. Many have porches, windows, doors and stairwells carved into the rock. The caves are some of the most energy efficient homes on Earth, with the rock providing adequate insulation to keep the interiors comfortable throughout the long cold season. The homes also remain cool in the summer. The world's longest nonstop reversible cable car soars through spectacular scenery to the medieval Tatev Monastery.